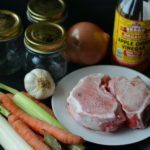 Homemade beef bone broth is nutrient-dense, easy to digest and inexpensive to create at home so why not make your own? Thanks to bone broth I have had a major breakthrough in my healing! After one month on a Reset diet where I consumed this beef bone broth every day I have found that I can now tolerate small amounts of gluten and dairy. I continue to drink bone broth for prolonged gut healing. What is bone broth and why do you need it in your life? Bone broth is essentially a mineral rich soup made by simmering the bones of healthy animals with vegetables, herbs and spices over a lengthy period (24 to 48 hrs). This process causes the bones and ligaments to release healing compounds. Vinegar is added to help extract all those valuable minerals from the bones. Bragg Apple Cider Vinegar is a good choice as it’s unfiltered and unpasteurized. You can use this beef bone broth as a base for soups, stews, or drink it straight. 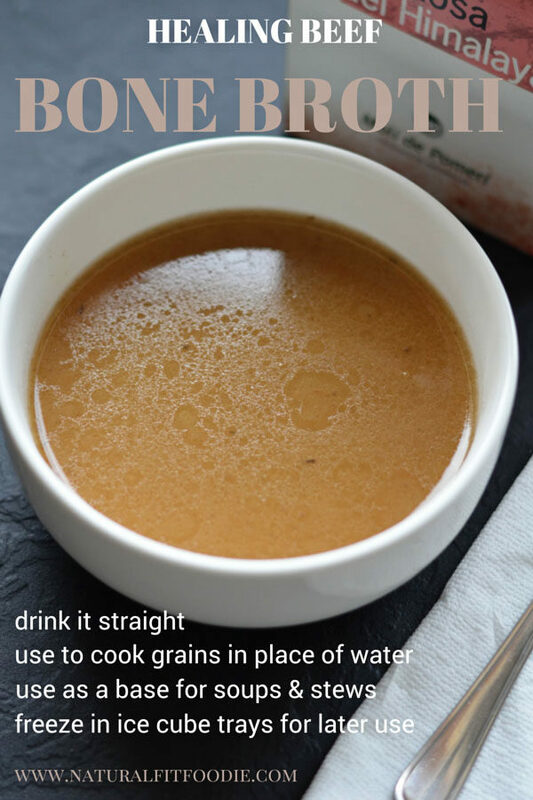 I love to give grains a nutritional boost by cooking them in bone broth. I can’t get my daughter to drink it straight but if I cook a bit of noodles in it she gobbles it up! The broth can also be frozen in silicone cupcake liners for future use. Collagen, the protein found in connective tissue of vertebrate animals protects and soothes the lining of the digestive tract and can aid in healing IBS, crohn’s, ulcerative colitis and acid reflux. Gelatin which is formed by the breakdown of collagen can help those with food sensitivities to better tolerate those foods. Gelatin also helps break down proteins and soothes the gut lining. Is Bone Broth Really that good for you? If you are an athlete you will be pleased to know that bone broth provides you with a variety of important nutrients such as calcium, magnesium and the conditional amino acids arginine, glycine, glutamine and proline. These amino acids may help speed muscle repair, promote muscle growth and limit muscle breakdown. 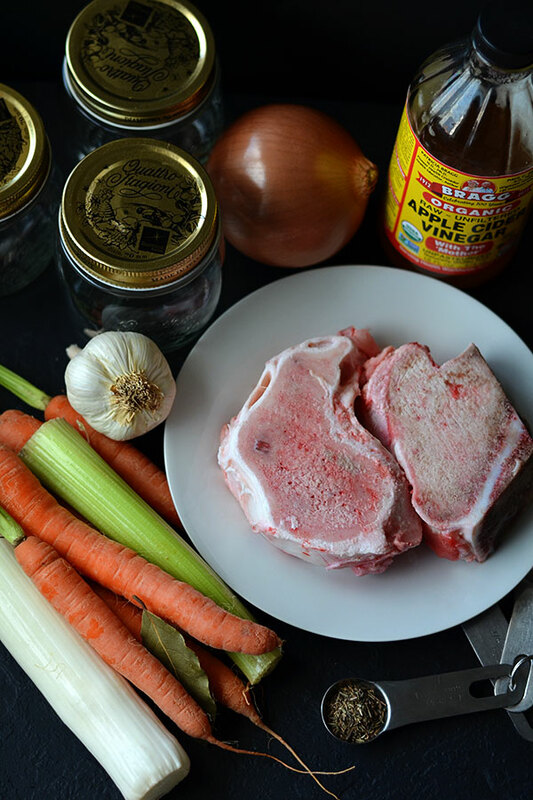 How do you make homemade beef bone broth? Making beef bone broth at home is pretty simple. You will need the bones of pasture-fed cattle a selection of vegetables, apple cider vinegar, some herbs and canning jars for storing. See the full instructions in the recipe section below! Please let me know in the comments below if you will try to make this healing bone broth. Place the bones in a large stock pot. Pour filtered water over the bones and add the apple cider vinegar. Bring to a boil. Simmer over low heat for 8 hours. Roughly chop and add the vegetables to the pot. Continue to simmer for another 4 hours. Strain using a fine metal strainer to remove all the bits of bone and vegetable. When cool enough, store in glass jars in the fridge for up to 5 days, or freeze for later use. Lovely photos! So nourishing + yummy. I love bone broth. I need to find some beef bones so I can make some for my family. 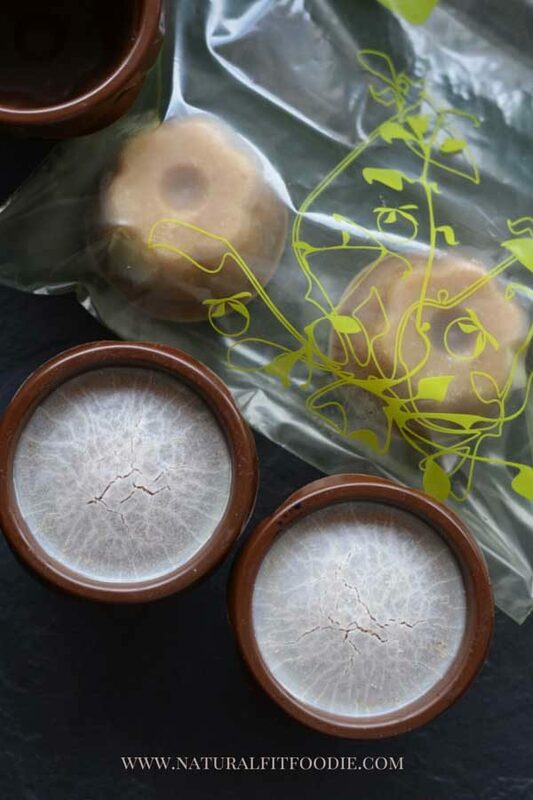 Lovely photos – we love bone broth here! Thanks Renee! We are discovering our love for it as well. Great post. I love bone broth and use it daily here. It’s wonderful and profound the healing you received from the broth! Congrats :-). Have beef bones roasting in the oven as we speak! Great, simple recipe. Everyone should know how to make broth! I just made my first homemade broth this past year. I did some turkey broth from wild turkey and then I made the beef broth from certified organic grass fed beef. I did a lot of research on it before I made it and I was recommended by a dr to try to make it because of the many health benefits. It took a little work especially since I wasn’t sure exactly what I was doing but it turned out really good. The broth was like pure gelatin. I roasted my bones first in the oven – supposedly it helps the mineral and vitamins in the broth to come out better. Thanks for sharing on Real Food Fridays. Pinned & twitted. Thank you so much Marla. I often roast the bones first as well. Have you seen any improvement in your health since then? Yes, I am going to make some bone broth, but later on in the year. How much do I need to drink to benefit my health? Lovely post by the way. Thank you. Hi Tonya, I would say 8 ounces a day every day would be ideal but do the best you can. You can also use it in recipes which call for broth or stock, or turn it into a base for your favourite soup. I even cook rice and quinoa in it. Hope that helps! Thank you for this recipe. I’m looking forward to trying it. Could you tell me please where I can get the beef bones. Also, are there any other bones other than beef, chicken or turkey that can be used for bone brith? Thanking you in advance for the information. Hi Patricia! I get beef bones at the butcher. This method works with chicken and turkey bones as well. Whenever I roast a whole chicken I use the carcass. Actually my leftover Thanksgiving turkey carcass has yielded the most delicious broth I’ve had so far ? I’m making this today…roasted the beef bones first, then added them to stockpot with veggies. I was just wondering, in the instructions, you say to chop all veggies & put them in the pot, except the garlic. There is no mention of garlic in the ingredient list. I use a few cloves, just didn’t mince them. I have since transferred the broth (after simmering for a couple hours on the stove) to a slow cooker for the remainder…should be done around midnight and my slow cooker will keep it warm until I wake up in the morning. Looking forward to trying this! Oh you’ll have some delicious broth waiting for you at breakfast! Thanks for the heads up I’ll correct the recipe ?